The cost attributable to non-compliance with universal rules, regulations and procedures that guides the conducts of International Freight Forwarding is huge and most times it is unfavourable to businesses and stakeholders who stay committed to these guidelines. However, many have argued that acts of non-compliance are either deliberate or borne out of sheer ignorance honed by a set of prevalent values generally acceptable within or across the country/region where these businesses are conducted. In Nigeria for instance, there is a renewed advocacy and insistence on compliance by Government Agencies. Recent regulations have made it mandatory for Form-M and Pre-Arrival Assessment Report (PAAR) to be processed as part of key requirements for cargo clearance before release. The major objectives are to monitor goods imported into Nigeria, promote transparency and to ensure that the appropriate duties and taxes are paid for goods imported. In other words, these regulations are aimed at enforcing compliance through proper documentation (i.e. declaration, classification and valuation), during cargo clearance at the ports. While the relationship between freight forwarders and the authorities are expected to be cordial, to sustain these levels of compliance, Government Agencies (customs) should not be influenced by the tendency to tweak established rules, regulations and procedures in favour of any forwarder who has not done the right thing in exchange for gratification of any kind. 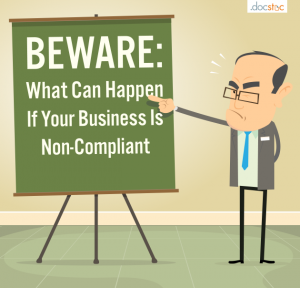 Though certain individuals and organizations in the industry and regulatory bodies have profited from being non-compliant, the long-term consequences have far-reaching damages. Nick Maxwell (Transparency International, 2014) pointed-out three areas where damages can be done to the organisation and they include legal, business focus and company reputational. Sanction those who offer and/or accept bribes. Making these laws applicable globally through direct enforcement. Making bribery of any kind of criminal offence. Applicable to all stakeholders (including Government and Private organizations) and in all other land, rail, sea and air borders of every WTO/WCO member country globally. Issue standardized penalties for both conniving individuals or corporate entities. Legal cost arising from disagreements between parties can be both costly and time-consuming. Regulatory Agencies will penalize any forwarder for manipulative/misleading information on the Bill of Lading, concealment of shipment, wrong classification and wrong declaration. These penalties range from heavy fines to confiscation of cargo. Again, non-compliant forwarders may face the risk of being blacklisted/barred from doing business in some states, for instance, the UK and USA. However, where the forwarder is so keen on making money and cutting the cost while doing business, there are some legal means to take advantage of to achieve this. Firstly, seeding quote rebates from carriers. And secondly, by putting pressure on government regulatory authorities to reduce statutory charges on certain categorized shipments, such as the ones that have additional benefits to the environmental health and safety of the country/region. Some of the objectives of every business are to offer valuable products or services, making profit and most especially remain in business. Costly and prolonged legal battles could derail these objectives. It also has the potential to expose the business to high corporate and financial risks; salaries may not be paid; staff may become demotivated, business will suffer, and the business growth may be scuttled. Though reputational risk is lower in developing countries than developed ones in Europe, America, China, Japan Australia, the message is the same. Individuals and organizations involved in the business of freight forwarding, risk reputational damage which is bad for business because global partnerships in International Freight Forwarding thrive on transparency and trust, which are key elements of compliance. In other words, the only way a forwarder can gain the trust of individuals, organisations and strategic freight forwarding partners is in building a strong global reputation on compliance. In view of the foregoing and in the light of distinguishing between what is right and wrong in industry practice, Fortune Global is using this platform to re-iterate its commitment to playing by the rules of globally acceptable standards in all its business interactions across the globe. This commitment is not only borne-out of our knowledge of the consequences of non-compliance but also a product of our value orientation and how we have chosen to conduct business.